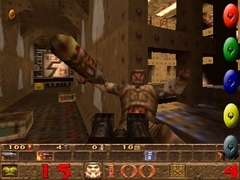 Hands up if you remember the original Quake? Yes, I thought that would be most of you. 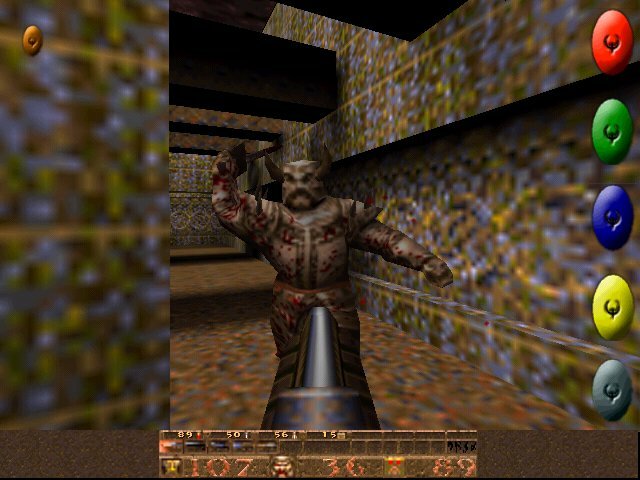 As the first truly three-dimensional shooter, it was absolutely revolutionary back when it was released in 1996, eschewing sprites for polygons and height-maps for brushes. 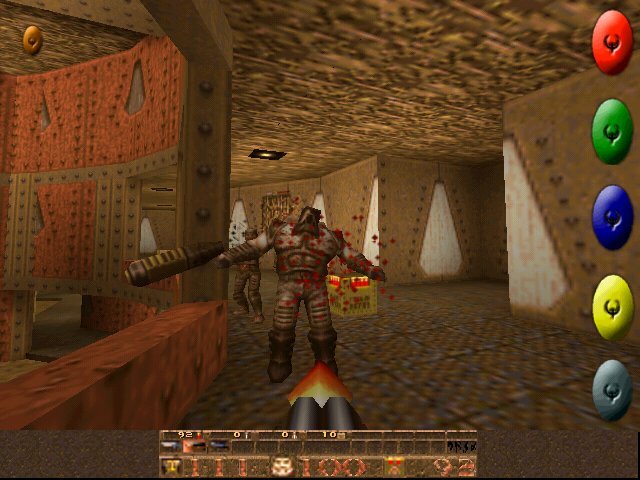 GLQuake was the first major showcase for 3D graphics cards, with the 3dfx Voodoo being the choice of the time - I remember my 4MB version was the swishest thing on the block. How times change! 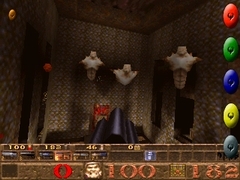 We've already had Quake on PocketPC for a while now, as the CPU speeds on those have shot through the roof. 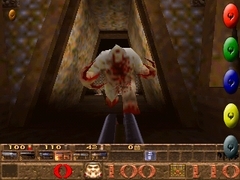 However, the next evolution of Quake is the move to the mobile phone. 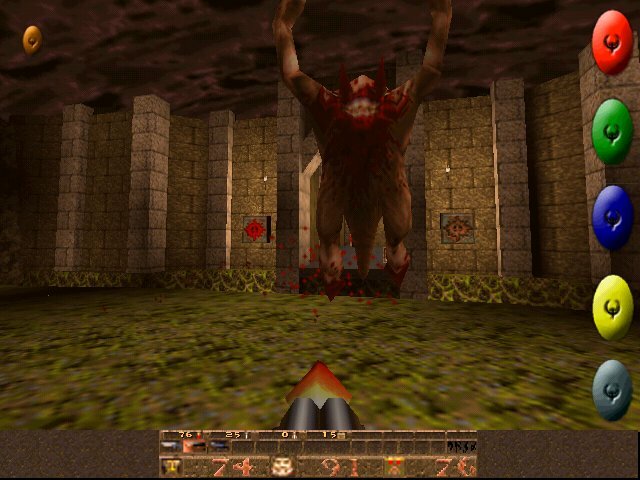 Forget Snake, or mini-golf - Quake is where it's at for the next generation of mobile handsets. With new chips from Nvidia and ATI being installed into handsets from later on this year, 3D gaming will truly be possible. Just don't expect to use keyboard and mouse. We brought you details on the game on Wednesday, so check out that article formore details. 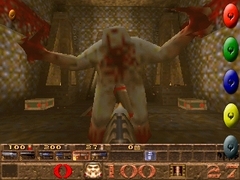 The original Quake featured the all-star lineup of Cthulu-inspired monsters, with Shamblers, Fiends, Grunts, Hell Knights, and those annoying ghost things that really annoyed the hell out of me the first time round. 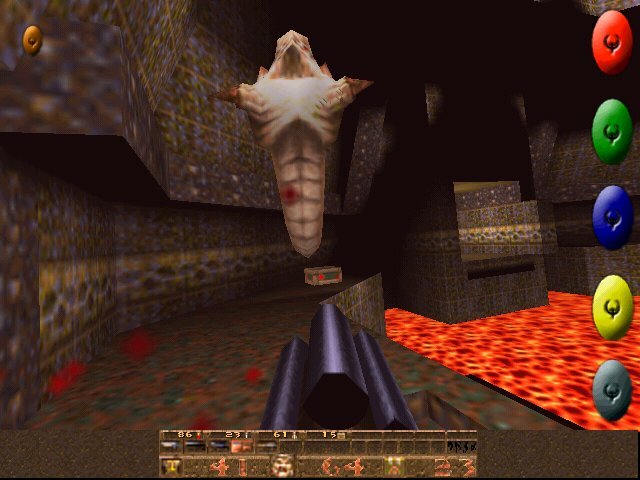 Expect all these to make a return! 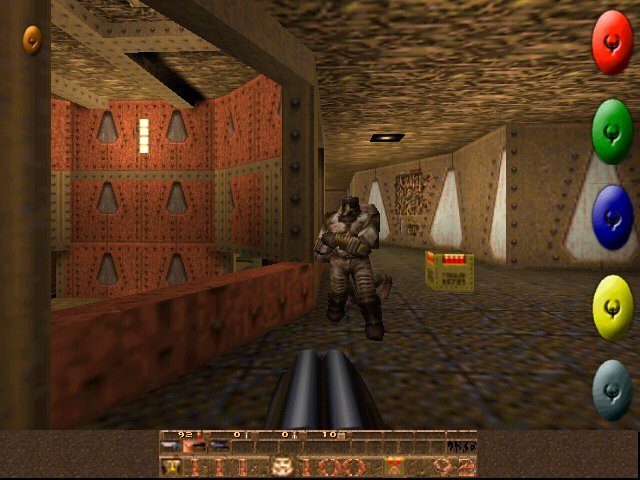 So, feast your eyes on these mobile shots and re-live the heady days of Quake on 10BaseT LAN in all its nostalgic glory. Compulab has stepped swankily into the DIY market with an ultra-cool smartphone which may be an excellent little side project for the modders out there.